A new committee under the Wabash County Chamber of Commerce and Wabash Area Ministerial Association (WAMA) is planning to take on some of the activities once performed by Operation Elf in Wabash County this holiday season. The committee has renamed this project as Wabash County Christmas Promise. The primary purpose of the committee is to create a venue for anyone in the local Wabash County area to assist other county residents in need to provide gifts for their children during the Christmas season. The committee will be accepting only new toys and clothing for the children. They are asking those that may have used toys to donate them to locations like the Lighthouse Mission, Wabash County YMCA, or their local churches. No coats will be accepted this year by the committee. Donations of such items would be widely accepted at the Lighthouse Mission and distributed to any child in need of a warm coat as the weather begins to turn colder. Wabash County CASA Court program is pleased to announce a training session scheduled to begin soon for those who would like to serve as a volunteer. CASA volunteers are a voice in the court system for children who have been removed from their homes due to abuse or neglect. Volunteers research, investigate and give reports to the court. Currently, there is a large waiting list of children who do not have a volunteer available. Their case continues without this valuable advocate who acts in the best interest of the children. While our goal is to have an advocate for each case, without willing people to step forward for the children, this does not always happen. Volunteers must be 21-years-old, without a current CHINS (Child In Need of Services) case, and able to give around six hours a month. We screen, train and provide the materials and ongoing support for you to be successful. If you have ever thought about becoming a volunteer, now is the time. There are children waiting. Please contact the office at 260-569-0533 to set up an interview and receive your volunteer packet. In March of this year, a company named Banzai contacted Beacon Credit Union about a partnership opportunity to aid in students’ understanding of finances. Banzai is a financial literacy program for junior high and high school students. It was awarded the “Curriculum of the Year” award by the Institute of Financial Literacy in 2010. The program uses real life situations to teach students about money management. It is the largest program of its kind, used by more than 5,000 schools in all 50 states. Thousands walked through ancient Indian villages and military encampments as they traveled into history last weekend during the Battle of Mississinewa re-enactment. This annual event, in its 26th year, is the largest War of 1812 living history museum in the U.S. 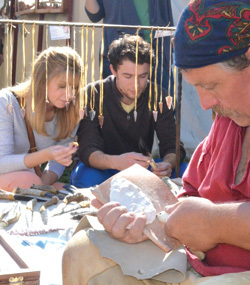 Visitors experience the sounds, sights, scents and way of life as it was over 200 years ago. Near the battlefield, spectators caught a whiff of gunpowder and held hands over their ears as canons blast and rifles fired. The War of 1812, a battle between American settlers, British troops, Canadian colonists, and Native Americans over territory control and trade restrictions, lasted two and a half years. Indians who had been neutral began aligning themselves with the British and threatened the U.S. control over the Northwest Territory. The Battle of Mississinewa began on Dec. 17, 1812, when Lt. Col. John Campbell surprised the first of four Indian villages, killing eight and taking 42 prisoners. The next day, approximately 300 Indians counterattacked. The battle took the lives of 12 federal troops, injured 48, and as many as 45 Indians were killed. Campbell’s troops hiked back to Ohio in knee-deep snow, resulting in 300 casualties from frostbite. 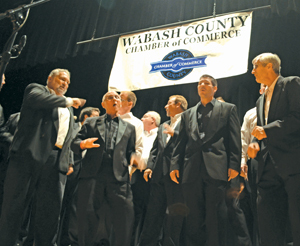 The Honeywell Center’s Legacy Hall was filled wall to wall Thursday, Oct. 10 as the Wabash County Chamber of Commerce held it’s annual dinner. Agro-Chem was honored as business of the year. Former Wabash Jr. High School teacher and local historian Ronald Woodward was named the 2013 Distinguished Citizen. Following a dinner prepared by the Honeywell Center staff, and a musical performance by the 24 member Magic City Music Men vocal ensemble, Chamber President and CEO Kim Pinkerton addressed the crowd, stressing the importance of business adaptability in the face of disruptive economic forces and the changing consumer values, as the millennial generation becomes an integral force in the business world. 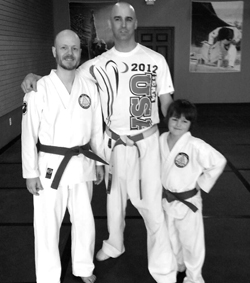 Tommy Music, 37, and his son Trystin Music, 9, are making the trip to the Richmond Olympic Oval in Richmond, Canada to compete in the first TAFISA (The Association for International Sports for All) World Martial Arts Games in September 2014. Team USA only has about 50 members, four from Indiana, and two of which are Tommy and Trystin. Amazingly, the father and son duo are only going together by chance. The annual Wabash Chili for Charity Cook Off is this Saturday, Oct. 19, from 12-4 p.m. at Paradise Spring Historical Park. 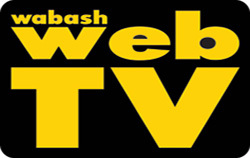 Proceeds of the event go to help 10 core charities in Wabash County. In preparation for the event, T-shirts and sweatshirts are being sold at Kitchen’s Plus. 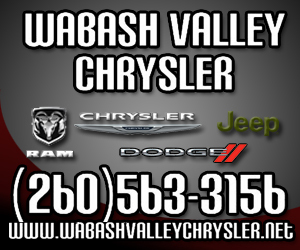 Friermood’s Tires, M&B Body Shop and the Wabash County Visitor Center are selling raffle tickets. Local Farmer Jim Erickson will address the Somerset Lions Club on Monday, Oct. 21 at 6 p.m. He will discuss how pork is different today; it’s definitely not your parents’ pork! 30 years ago, not many people could have imagined pork would be among the leanest meats available. How and why pork changed will take center stage at the regularly scheduled Somerset Lions Club meeting.